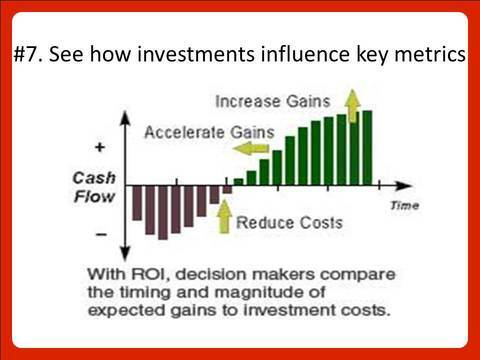 Return on investment (ROI) is the final word on success for a business. It shows real gains and proves how well the business is being managed. 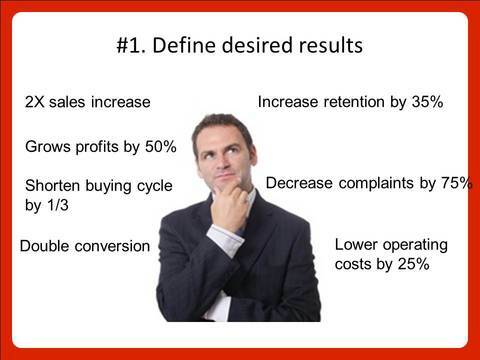 A company has to put a process in place to get to an ROI. 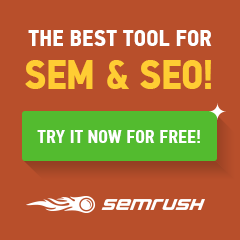 Maybe that’s why, “How do I measure social media return on investment,” is the #1 question over 3800+ marketers ask in the Social Media Examiner Annual Survey every year. The journey to find ROI doesn’t have to be difficult as long as you have a plan. 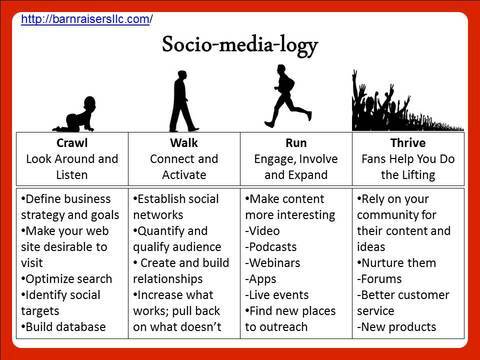 To help out with one, here are 7 steps to demystify Social Media ROI. DEFINE DESIRED RESULTS: When you start, know where you want to be by the end. If you are going to to make investments, why wouldn’t you want to define the return. Articulate desired results by stating the gain expected within a specific time frame (e.g. 2x sales in a year, 50% increase in profits over 18 months, 500 new leads in six month). As Laurence Peter said. “if you don’t know where you’re going, you’ll probably end up somewhere else. 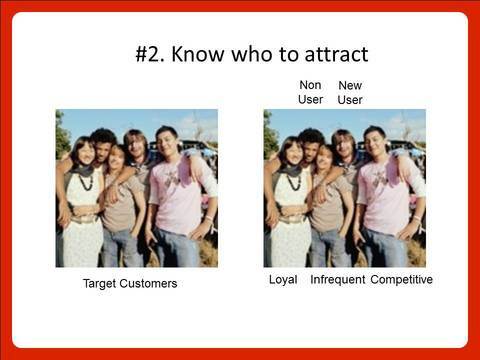 KNOW WHO TO ATTRACT: For every business, there is a wide disparity between best and worst customers. Know who you are going to spend time and money pursuing and who is not worth the effort. This “segmentation” of your audience is a requirement for any business. 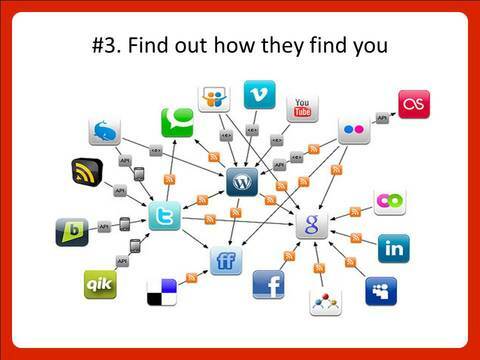 FIND OUT HOW THEY FIND YOU: Are the people you want to attract also the one who are finding you? There are a number of ways to know. The best one is to look at the Google Analytics for your website and see from Traffic Sources the percent of people coming from social media and specific social networks. Look at Time Spent, Page Views and Bounce Rate. You can see engagement by social network – Twitter, Facebook, LinkedIn etc. You can look and compare against Likes, Followers, Comments, Shares and Re-Tweet from your social media information. If it helps, here is a list of social media monitoring tools to consider. 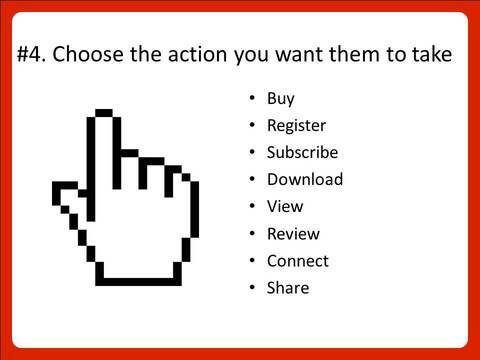 CHOOSE THE ACTION YOU WANT THEM TO TAKE: To turn consumer behaviors into revenue, you have to identify an action that translates to sales at some point down the line. Of course, the action of buying a product is the most direct action. But, register, subscribe or download are equally good actions, especially if your business has a longer purchase cycle. This provide leads and is true to a proven relationship principle: People like to do business with people they know. 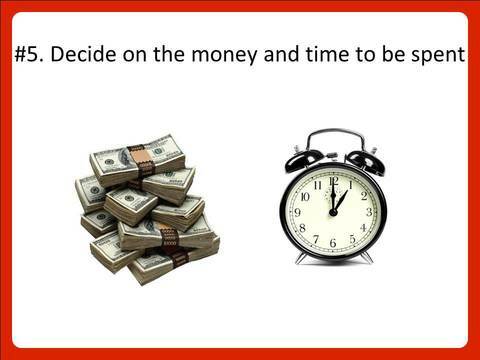 DECIDE ON THE MONEY AND TIME HAS TO BE SPENT: You’ve defined where you want to go. You have key metrics in place to keep going down the right path. Now, it’s time to decide how much time and money this is going to take. In social media, time is generally as important, if not more, than money so account for both. Let’s take an example. A business invests $100,000 at the beginning of the year in social media and related staff. At the end of the year, the gain in sales is $150,000. The ROI is: $150,000-$100,000 = $50,000/$100,000 X 100 = 50% return on the investment or a 1.5-to-1 ROI. But you’ve built an asset even greater than a single ROI number. You understand what makes it work and can do it again. That wasn’t difficult to do? Was it? If you want examples of companies that have proved ROI in social media, my eBook, 166 Case Studies Prove Social Media Marketing ROI, is complimentary and available on the sidebar of this website with just a click. If these principles are of value to you and you’d like these slides, here they are. If this process was helpful and you’d like “hands-on” training or a customized solution for your business, just get in touch with me or leave a comment here. Do these 7 steps demystify Social Media ROI for you?